Its been a while since Nokia E5-00 been in my hands as my main device and I should say that its been the second device after Nokia E72 that came close to replace my all other devices in terms of real life usages. It was hard to keep my recently bought Nokia N8 away for a while to get an unbiased review of a non-touch Nokia and I hope, now I should write my own piece about impressions of Nokia E5. I already wrote on the exteriors of the device and what’s inside the package in my last post and there been a heavy discussion over hardware specs as well in my other Nokia E72 vs Nokia E5 post in last few months, so better I should move over software experience part with quick summery of hardware first. When we talk about the specs then in terms of price, Nokia E5-00 is seriously very very well packed device in such a way that if someone wants to buy a phone and he doesn’t want to cross the budget of 10-15k then suggesting any other device available in market will be like backstabbing him. 2.4 inch screen, 320 x 240 pixels resolution but 18 bit colors means support for 256k colors rather than 16m colors of all other Nokia’s like E52, E63, E71, E72 or even recent C5-00. Strange!!! BL-4D (1200mAh) Li-Ion battery, support for both microUSB and 2 mm power port charging. Quad band GSM and tri-band WCDMA (900/1900/2100 or 850/1900/2100) with HSDPA (10.2 Mbps) and HSUPA (2 Mbps). Up to 250MB of internal memory, 256MB of RAM (up from 128MB on the E72, for example), microSD card slot. I admit that I never ran in memory full problem with this one at least. Initially available in five colours: Carbon Black, Chalk White, Sky Blue. Copper Brown and Silver Gray. Sales package: Nokia E5-00 phone, Nokia Battery BL-4D, Nokia Connectivity Cable (CA-101), Nokia High Efficiency Charger (AC-8), Nokia Stereo Headset (WH-102), Nokia 2GB microSD card (MU-37). 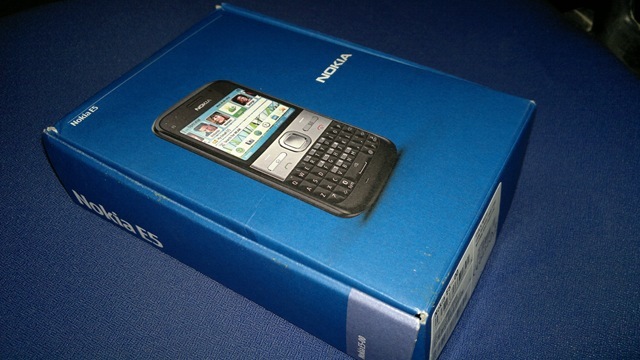 Nokia E5-00 runs S60 3rd Edition Feature Pack 2 (S60 3.2.2) which is Symbian 9.3, sounds similar on paper as that was in Nokia E52 or Nokia E72, but there are a lot of differences inside. Really too many options to customize it. Customizable home screen, featuring ‘Contact bar’, ‘App Shortcut bar’ and various plug-ins (email, WiFi, Music). Options are really much more, if you compare with any of the old E-Series device, I noticed that with darker theme, I was able to achieve the dark background in Nokia Messaging too, which always remained white in all cases. Ovi Maps 3.04 (including free life time navigation), without magnetic compass though. With 3G, I found the locks almost instant from a cold start. Nokia Messaging with easy set-up (wizard based), for both email (Ovi Mail, Yahoo Mail, Gmail, Windows Live Hotmail, Microsoft Exchange, and IBM Lotus Notes Traveller) and Instant Messaging. Contrary to recent issues with Nokia N8 messaging, this one works perfect and you should expect to receive mail on your device before the desktop client itself. 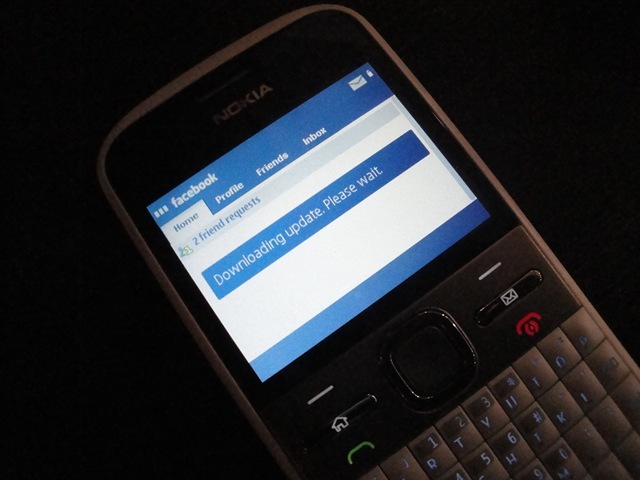 It has a facebook client pre-installed that helps in syncing phone contacts with facebook contacts like socially, but brings facebook status features in the phone’s address book itself (see your friends current status messages). Ovi Store pre-installed, to download additional applications, games and content, but will ask for an update first as usual. You will be happy to note that this device comes with the full version of Quick Office (compatible to Office 2007 files) and also we are provided Adobe Reader LE 2.5 that is latest. That is huge, considering the fact that even Nokia N8 and Nokia C7 likes have the read only versions of office. Not only usual Zip, Dictionary etc, but here you find a bundle of many other software as well like Active note, Microsoft communicator inbuilt into contacts, Bloomberg, AP mobile, Traveler, Vingo voice and a font magnifier (as you seen in last unboxing video). Well! after taking a look over hardware and software aspects of Nokia E5, you can definitely feel that one is not wasting a single rupee in vain if he/ she goes for purchasing Nokia E5. 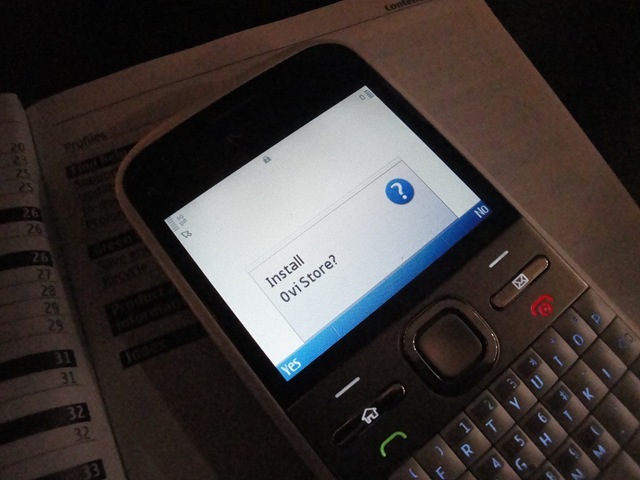 The best of class keypad and light looks are enough to make it in hands of people, who been using feature phones only and most advanced features like Nokia messaging with push mails, Ovi Maps and Quick Office full version etc go as high as one most sophisticated user might wish for. People who might be untouched of the super hyped touch screen world and care more for usability point of view will sure have reasons to get attracted toward such market innovations. Steve Jobs was right when he said that only Nokia can make Smartphone’s at such a low price. Its really not just business, but in deed Nokia Connecting People, who don’t easily buy Smartphones in $700 and why should they? There might be enough buzz against Nokia in recent days, but presence of models like Nokia C5-00 and Nokia E5-00 proves that Nokia never been only a business company, but they been and are leaders to empower the mass with the latest of tech. With a price tag below than 11.5k INR that is close around a mere $200, you can easily push people to move up from feature phones and bring them in the amazing world of Smartphones. detailed one!! People all over the world has started migrating to non blackbery devices for messaging and entrepreneurial uses.. Nokia E5 will be a gud pick being economical phone with hifi functions!! Yup! “The enabler” or “The power in hands of mass” what I call it. Nokia E5 lacks front facing camera, autofocus and perhaps not hotswapalbe. Whats the problem not including all these. They can add a bit extra money. If they add features like On the Go, file hidding or locking, mobile server accessing whole mobile thru internet (production of their beta version server apps been stoped), access mobile thru wifi on PC web browser and download any file or folder thru wifi, and remotly access the PC thru any of softwares like LogMeIn. 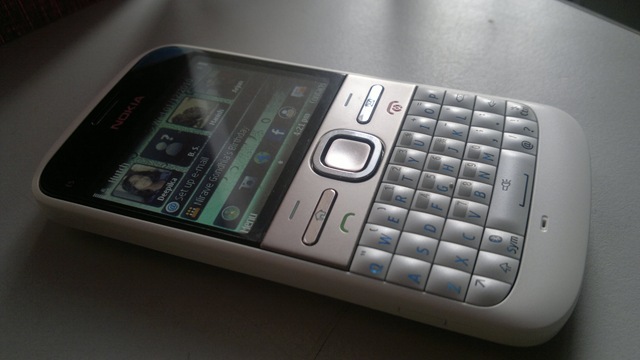 And model should be E71…. Yup mate!! but I told you that its targeting people coming from feature phones, who don’t want to by anything higher than 10k even. It hurts when you want to give someone address but can’t give them geo-locations as they don’t have a proper phone or when you find everyone’s battery dead in some long trip including yours and you miss moments. EDoF no where come closer to Auto focus in my eyes (proud owner of N82/N8 and user of E72), but still works nice for people, who are coming from an era of not even just Ok 2MP cameras. Missing Front Camera is a pain, but we can bear it somewhat if we know that most of the indians don’t have free WiFi around and 3G still a little far, then data usages cost. Its about enabling them to use advanced services and then they will sure mature up with their usages. Thats what devices like C5 or E5 do and they do it pretty well. Yes. Yes. Yes. I’ve always said that E5 is a better pick than the E72 (some call it legendary, but why??) considering all the options and factors. And the full metal body is something that’s not to my liking – it gets hot when you use it for long and gets too cold in cold weather conditions.. And the sweat too.. Go for the E5 folks, the only sacrifice that you’re making is AF for EDoF (EDoF ranks pretty high in my books) and video-call camera (which is not really used to full extent). I will not agree on heat part at least. In my stress tests, I downloaded 3 800mb files back to back over 3G connection and then drove back to home with Camera video recording ON for 43 mins and the voice navigation was on in this 43 journey. Not even the battery survived all these without charge neither the phone was heated like I found N97 mini was heating once. As about Video calls, then absence of front camera makes Skype almost half useless for people. Some really do video calls. that’s my PoV. Also, about the heating thing, well, C5 and E5 are strikingly similar. And i did notice that C5’s back started heating after heavy usage. And the metal part – i can say that E5 is stronger than E72. Plastic absorbs shocks during fall, metal cannot. It is highly desirable even in bad weather conditions like rains, plastic prevents electric shocks.. Bad conductor. I always bat for use of both plastic as well as metal and E5 has both.. I need a phone mainly for internet browsing(share trading). Is the E5 good for browsing, will the websites be available just as in our desktops? Or would I be better of with a Touch/Android phone? That is another use case and for that you need better screen and well equipped browsers. Currently only Nokia N900 is only phone (Maemo) that supports desktop like browsing experience. Cost in India is 24.5k INR. I would like to know if the E5 collects certain people’s sms’s into one group like gmail collating emails or the sony ericcson x10 mini pro? think your review is great and balanced. I have a c6 but am thinking of getting the e5 as the c6 is not convenient to type on the go as you have to use two fingers on the slide keyboard. Do you think e5 is better at typing quick notes on the go? On buses etc. but while using the camera with flash in indoors i am getting whitish images… can this problem be resolved.. This is the best blog, i found on whole web over e-series. As u mentiond, e5 is device for those who want one of the best in 10k to 12k, but i m a bit confused over e72 n e5. Can u tell me in one word which is best, e5 or e72. if 17k is not a problem. Now i m using 5800 from last 3 months. Nitish,now i have e72, but its not working good. maybe because of made in KOREA, or anything else i dont know. with only 4 gb, e72 is working slow and compare to e63 its wifi download the pages very late. Can you please tell me why this. or where i could find the e72 made in FINLAND, in gulf only china and korea are available, as i am from Jeaddah, KSA. Strange dear! Are you running any app in background like Whatsapp? Web pages might be delayed if they have many scripts inside. i have my e72 made in finland. my wife bought it in Riyadh. Really really good Review I really appreciate ur work Nitish. Nitish i m using E5 but i have an issue in fact a really serious issue which is related to Privacy , i send daily lots of Multiple SMS and Multiple MMS to my friends Group wise,as u know that E5 doesn’t have BCC(back carbon copy)option in MMS creating mode and when i send MMS to multiple contacts then at end every single receiver see the complete contacts list of those my contacts where i send the MMS. Please help me in this regard and recommend me any third party application which have BCC feature for MMS. i searched a lot in past 4 month but i didnt find any application like this. i will be really really great-full to you if u help me.. Even PC suit dont have this option and i already send Email to nokia to fix this missing feature in new firmware(for my second phone -E52) but nothing happened in new E52 firmware V54 . Expecting for your positive response. I have to check for that. Didn’t happened to face such a use case. Does the In-built GPS in E-5 offer voice instructions..? I had been reading your blog and I was thinking to buy Nokia E5 which fits into my budget. Please tell me what to choose between today’s new release samsung galaxy pro which also features a qwerty keypad as well as touch screen with android OS(2.2 froyo) and nokia E5 as many of my friends suggested samsung galaxy pro. Hey is the navigation in E-5 same as the kind in nokia C-7..?? I mean in the GPS ,Does it offer complete navigation like in C-5 with voice commands and distance?? eg. turn left at 65m ahead..and so on….does it show the speed with which we are moving..?? What would be the best buy price you suggest..?? Your post was good enough to know abt E5. M planning to buy it. Most of the shops I visited for this phone have different rates. One thing was common that they all r manufactured In Korea. I m having little doubt for it. Whether the handset r gud when made in Korea. Afaik it won’t make much of difference that where the device is made. Planning to buy E-5, just I want to know, is video calling is possible in E5 with the help of back camera. I think you must be know that video calling is possible with old nokia 6233 back camera. I am getting this electronic marvel for Rs.7700. Nice reviews. 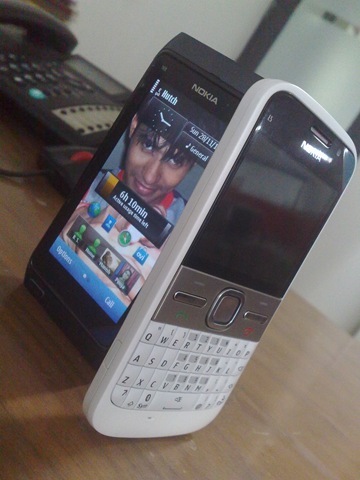 I have been a proud owner of Nokia E5 since past 4 months now. Excellent phone especially when using internet. But lately, I have been facing a strange problem. Many a times, an error pop-up would appear saying that phone memory is too low. When I scanned the phone memory, it showed me some 210 MB as ‘Other files’ while upon checking the memory, the ‘Others’ folder is empty. This error doesn’t block any of the functionong of handset but now it has starting to annoy me. Do you know why is it happening? If so, can you provide me the solution? The other files are mostly web cache or the failed downloads/installation. Unfortunately those can’t be cleaned manually. Only option is reset. Thanks for the info mate. But won’t the ‘reset’ clear everything. I mean all the data in the phone memory. How do I ‘reset’ the memory? planning 2 buy E5 …… is video calling is possible in E5 without d secondary camera ???? & if i ask u 2 rate E5 for its features considering its price…. wht would be ur rating out of 10 ??? As per price, I would rate it 8/10 due to lack of front camera and 1200mAh battery. Nothing beats it for price. Video calling should be possible with back camera. Well! E72 is many bucks more than E5 though a bit premium look. Not sure about Blackberry one as didn’t seen the same till now. Even if we, for the time being, keep the pricing issue aside which one of the two Nokia handsets would you recommend, keeping in mind the particular requirement that I have? Ok i have the money for both phones i like both but i do not know what to go with i want the over all better phone for the general smart phone public. Is there a major difference because if not then i dont wish to buy the E5 i just want to know what your honest opinion on a comparison of each phone and which one would you own and use. I would appreciate because i do not want to buy a phone and then be stuck with it knowing i spent that much on a phone i dont like. For the lower price bracket, Nokia E5 is a great deal phone. few of my colleagues (4 of them) bought it and being non-geeks, it was too good to them. Hi this is a great review of Nokia E5!, I do have this phone & have had no complains so far but just one it does not support animated wallpapers i tried to install & set animated wallpapers couple of times n tried almost everything can u please give a tip or something or at least tell me whether this phone even supports animated wallpapers pls will be really helpful…. Pingback: Nokia E5-00 Unlocked GSM Phone with Easy Email Setup, IM, QWERTY, 5 MP Camera, Ovi Store with Apps, and Free Ovi Maps Navigation (White) | cellphonebot cellphones, smart phones, iphone, anything mobile! I am torn over which phone is better, e71 or e5? I have heard that the E72 is discontinued but I think it will be supported until 2013 yes? Also E5 I heard had a screen that could not be seen in sunshine though none of your reviews had said so. I just want a phone with a good battery life that doesnt have any glitches and supports email texts etc. Should I go for the E72 even though its discontinued. I am sceptical of the E5 being cheaper too. I think I have mentioned it that sunlight visibility of E5 is not that good. Rest features are good enough for the price on offer. Not sure about E72 availability. hi nitish, i download Talking_Cat_1003-533508.sis for nokia e5 ,after it says this s not compatible with nokia e5 but in site where i downloaded it was under the e5 apps list, could u please tel me whether i can install or not. did quite well on a diet rich with cow’s blood. exactly what they need for optimal germination to occur. Next Next post: Nokia N9 Leaked? Is Nokia N9 already in hands of testers?